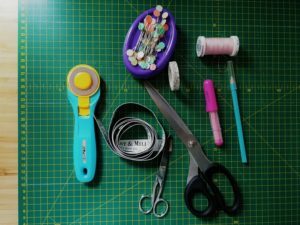 In this introductory class we will cover all the essentials to get you to start sewing. 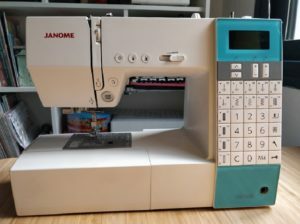 We will go over all main functions of the sewing machine and together complete your first project. 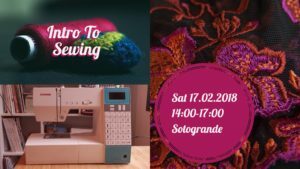 All beginners who either have a sewing machine but don't know where to start, or don't have one yet and would like to see what sewing is all about. We also recommend this introductory course to returning sewists who might have lost confidence and need a bit of a refresher. This call doesn't require any previous sewing experience. In order to complete your first project you will need 1 m of cotton material. Project fabric packs will be available to purchase during the class for €5 - €10. You are welcome to bring your own machine, but please let us know during the booking the make and model of the machine. If you choose to bring your own machine please ensure you arrive 15 min earlier to set it up and don't forget to bring the instruction manual.